To be, or not to be (a cat)? I nearly fell down the stairs as I walked under this billboard into the Seoul underground. 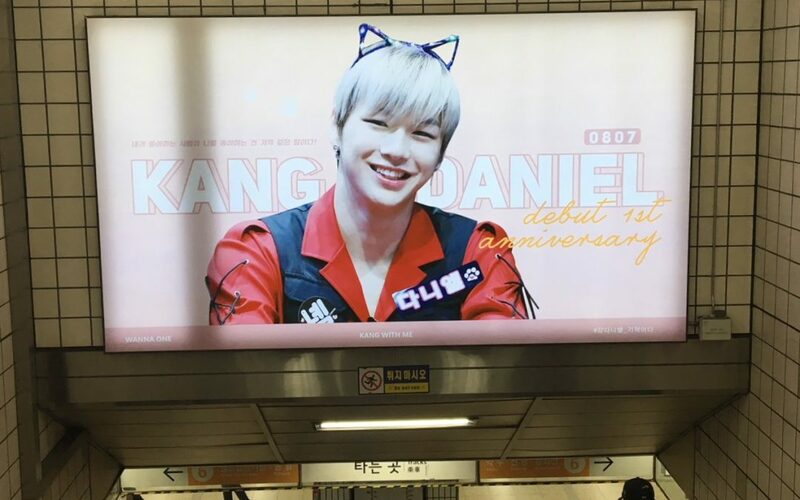 What made Kang Daniel become a cat? Was it to sell more concert tickets and song downloads? Was it the craziness of the K-Pop industry? Was it pressure from his manager to jump on the latest fad (in order to sell more tickets)? Was it social pressure to look a certain part? Was it the allure of (even more) fame and success? What I do know is that each one of us will face similar pressures in our own lives. Pressures that might be the metaphorical equivalent of having to appear as a cat on a giant billboard. And, if we are not really attuned to ourselves, we might fail to recognise the immense social pressure that we are often put under. Pressure to do things that don’t sit well with us. Pressure to “succeed” at all cost. Pressure to keep-up meaningless appearances that we don’t really believe in, but we get swept-up by because we have not taken the time to properly consider them. The web of conditioning that entangles us is far reaching. And, much of it is not there to influence us to live well. Often, the intention is to keep us blindly locked in a pattern of relentless consumerism and production, but at what cost to our well-being? For example, 1 in 6 people in the UK is expected to suffer from a common mental health problem, such as anxiety or depression, in a given year. And, South Korea has one of the highest suicide rates in the world. It takes will to really investigate what is going on in your world and in your mind. To deeply look at the fundamental beliefs and influences that underpin how you live. Because some of the things that you uncover might be uncomfortable. But, perhaps it is better to take a harder look at the presenting reality than unwittingly end-up as a cat on a giant billboard? And, let’s not forget the immense pressure you might put yourself under to succeed in being that cat. Perhaps the temporary discomfort of exploring what drives you and why, is a small price to pay for the liberation it might bring. I suppose it is a choice we will each have to make.